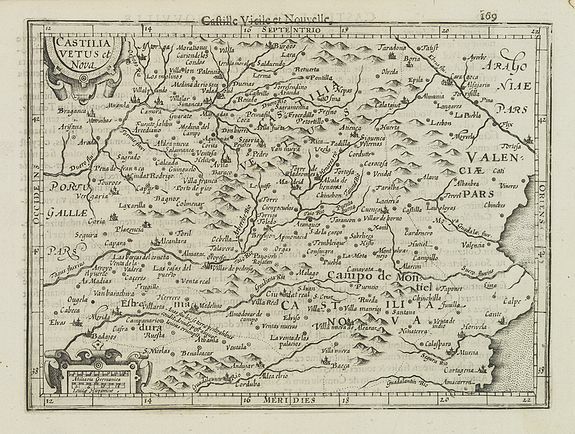 MERCATOR - Castilla Vetus et Nova. MERCATOR, G. / HONDIUS, J. - Castilla Vetus et Nova. Castilla Vetus et Nova. - MERCATOR, G. / HONDIUS, J. Title : Castilla Vetus et Nova.. Size : 5.3 x 7.1 inches. / 13.5 x 18.0 cm. Description :Map of the Castilian region in Spain. From a French-text edition of Jodocus Hondius' Atlas Minor.